Foggy and dark autumn with its shorter days, which look too depressive to me, is again here. When I say „here“ I mean the Central Europe, where I live. Every October I am thinking where to escape from this incoming grey atmosphere at least for a few days. 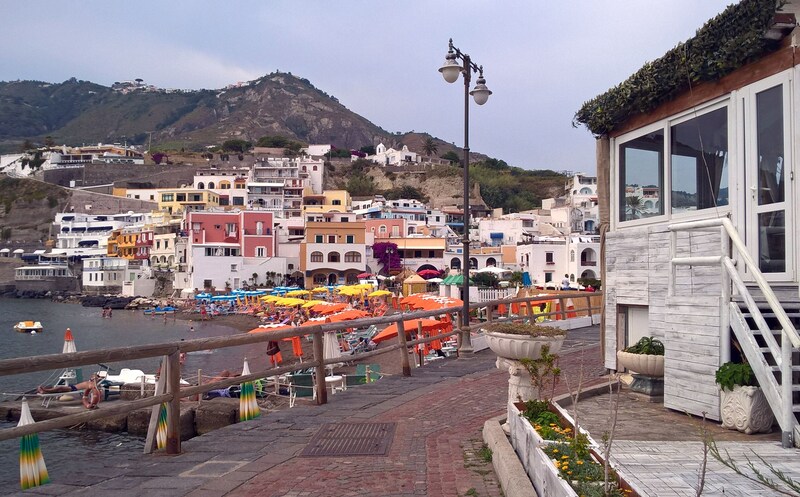 What about Italian Ischia? 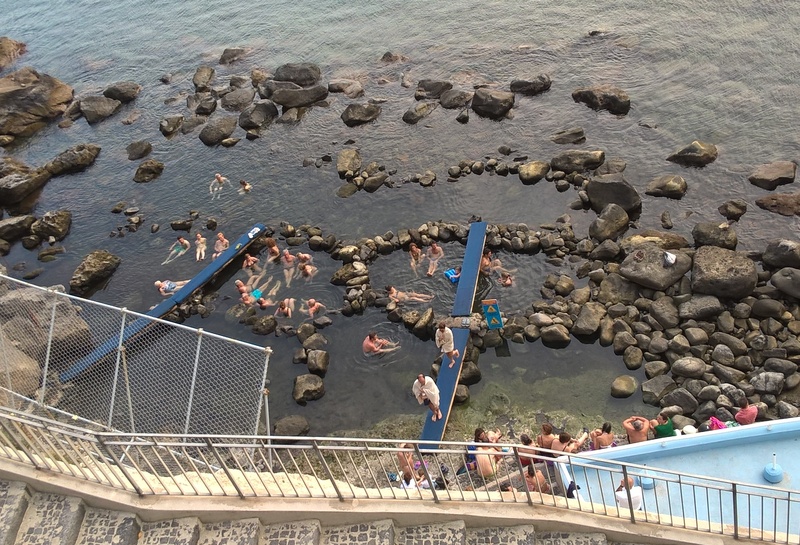 Yes, the volcanic island Ischia with its uncountable hot thermal mineral baths is a fantastic idea! 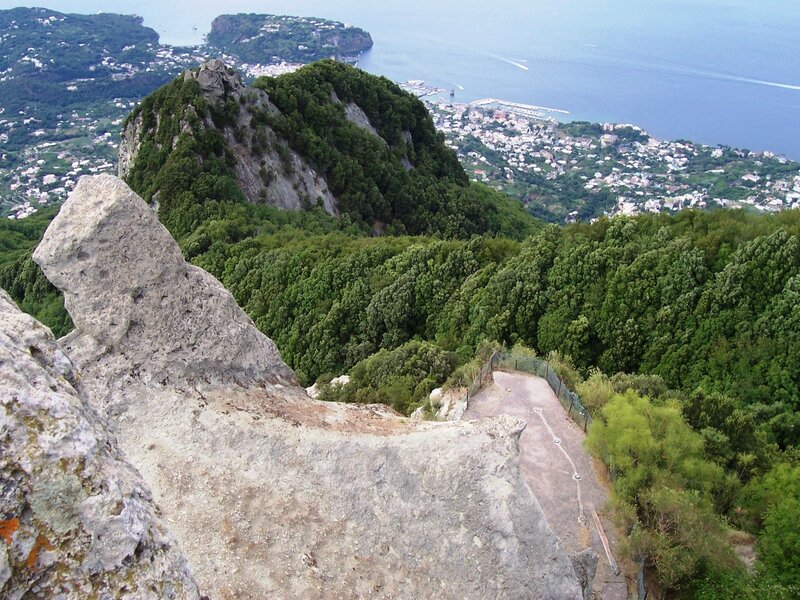 Located in the middle of the Gulf of Naples, about 30 km (19 miles) from the Italian mainland, there is a huge rock, whose highest point Mount Epomeo reaches up to almost 800 meters. 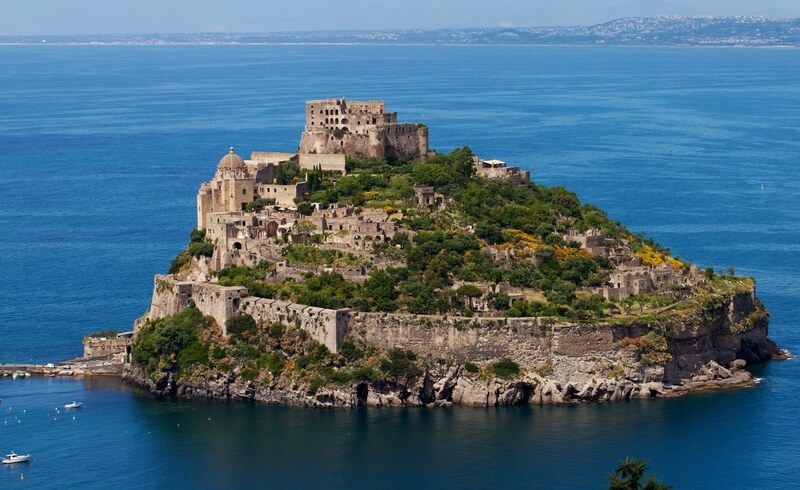 It is the island of Ischia. It measures approx. 10 km (6 miles) east to west and 7 km (4 miles) north to south. 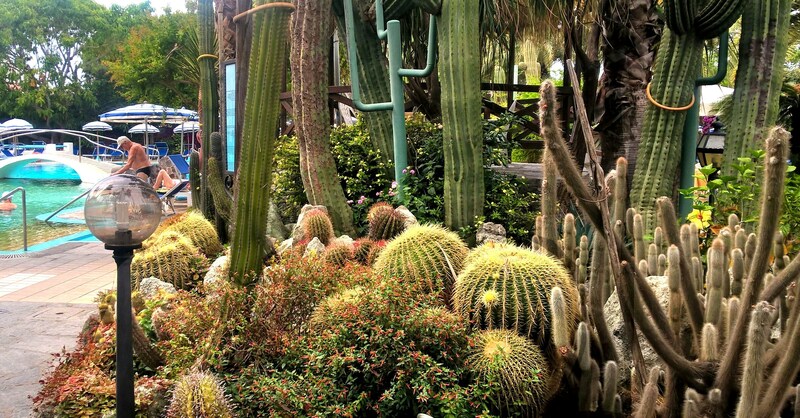 When you stay in the Park hotel Therme Mediterraneo you don´t need to visit any other botanical garden because you will stay in a fantastic one! 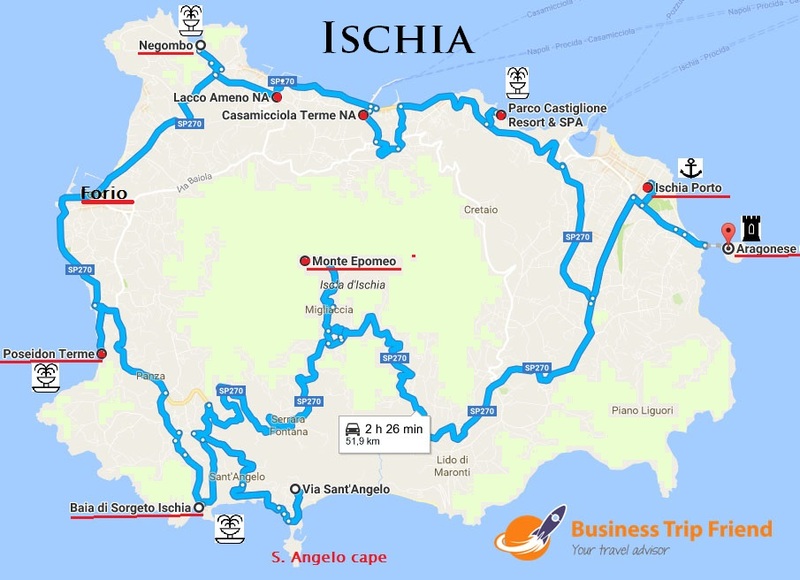 Definitely do not go to Ischia in August when almost all Italy is on “mandatory holiday”, everywhere is crowded and prices rise sharply. The best period for going there is spring or autumn. 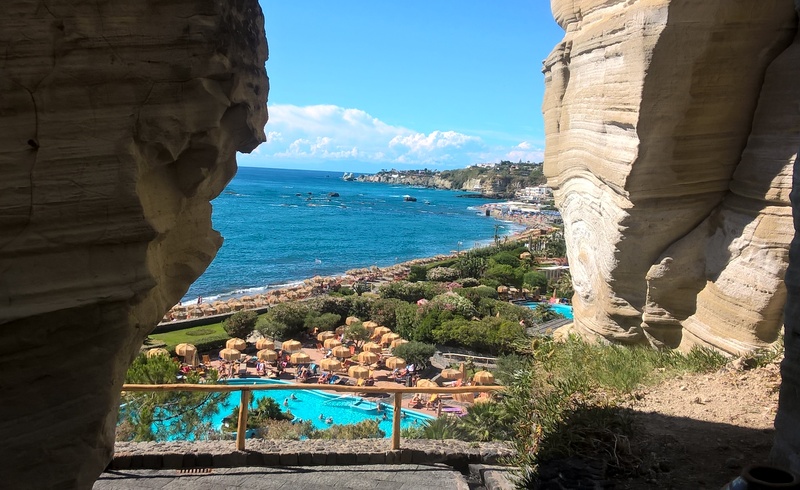 In winter it is quite cold (especially for Italian standards :-)), about +10 °C, but if you are satisfied only by the indoor thermal pools and saunas, it isn´t bad to go there also in this period. 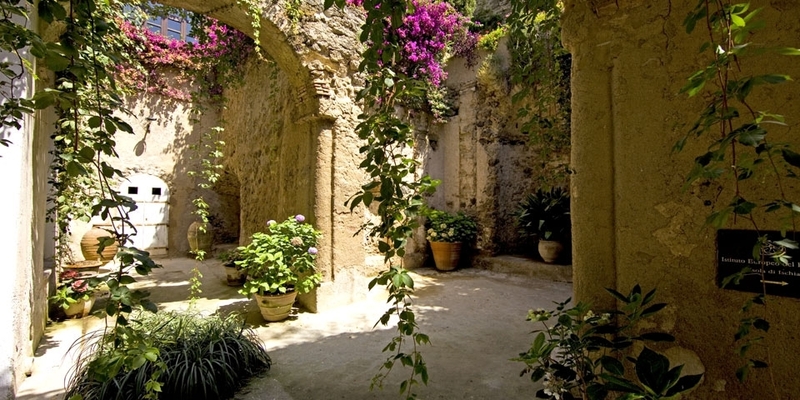 One of the most picturesque places of Ischia - S. Angelo cape. In the background you can see the peak of Monte Epomeo. The beach is covered by dark, volcanic sand. The water is shallow in the bay but there are unpleasant huge stones inside the sea. 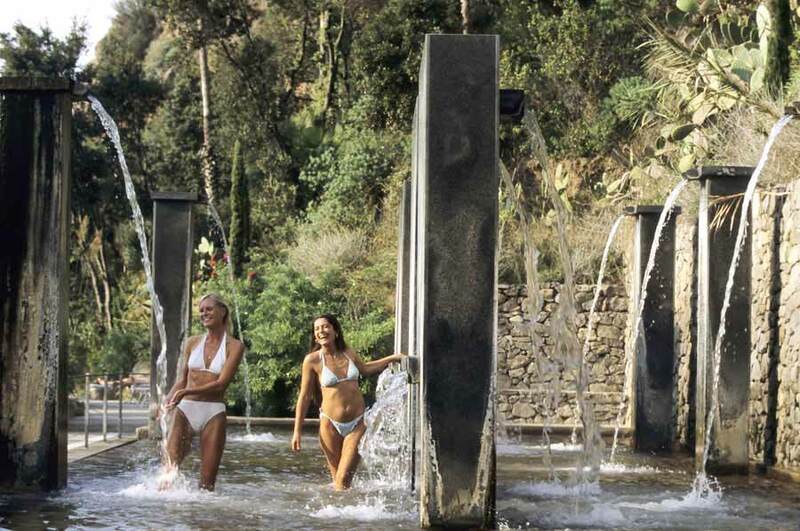 Located in the Citara bay, Poseidon´s gardens - the biggest and one of the most beautiful spa complex in Ischia - offers 25 swimming pools with mineral water of varying composition and temperature, with salty and fresh water, and also a private beach. 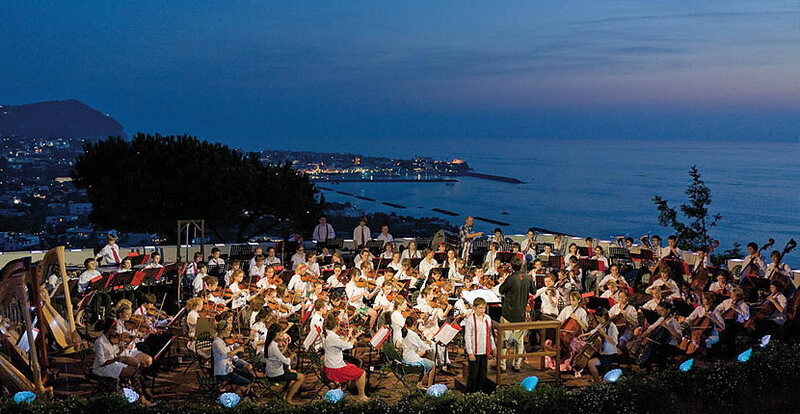 The admission fee is quite high – 30 EUR/1 person. The impressive view on the pools and private beach from the top of Poseidon´s gardens. 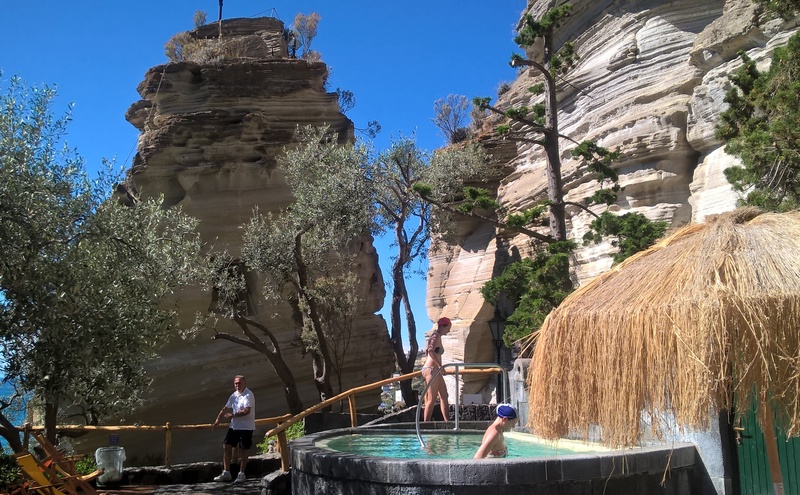 In the Poseidons´s gardens - a sauna inside the rocks and pools with cold water used after sauna. 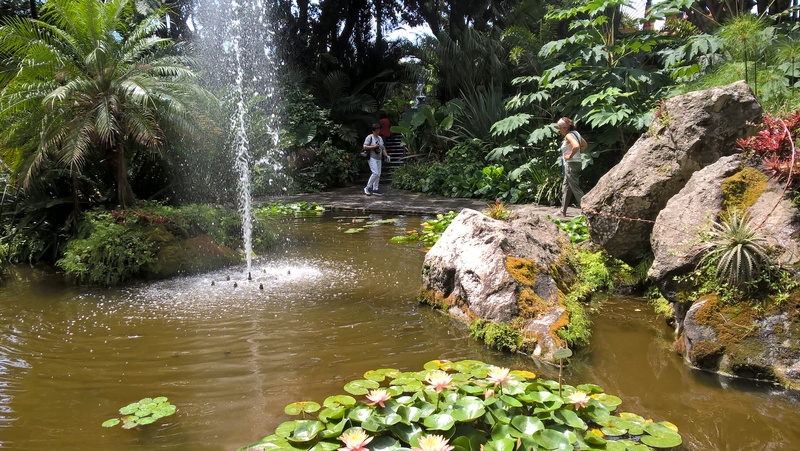 The temperature of the thermal springs can reach +90 °C, when the springs are going from and through the rocks close to the sea. Then hot water goes directly into the "cold sea". The result is a constant and significant flow of warm or hot water. There are several natural sitting bath tubes created from hot stones (their temperature depends how far they are from the spring) in the beach. Be careful - stones can be hot, slippery and you can even find a lot of crabs under stones (it depends on season). But anyway, even without crabs, the effect of the combination of the sea water with the thermal springs is incredible. It is an amazing experience! Hiking up on the peak of Monte Epomeo (789 m) is a somewhat demanding but marvelous trip! The shortest way to get there is by car to the village Serrara Fontana and then continue up by car (about 1,5 km) to the via Epomeo. At the end of the road there is a parking place (and two restaurants with souvenirs). From this place you still need to walk up about 1,5 km through wild forest and dry gutter. 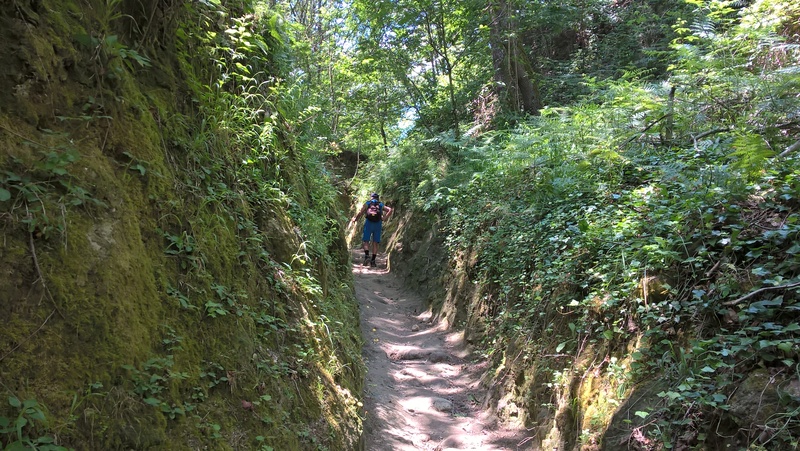 In some places the trail turns into a real canyon with almost vertical walls. But when you reach the top you will be awarded by a very special breathtaking view (and also there is a pub offering beverage :-)), since the top of the Monte Epomeo is not typical. It is actually a volcanic reef, part of the crater edge. 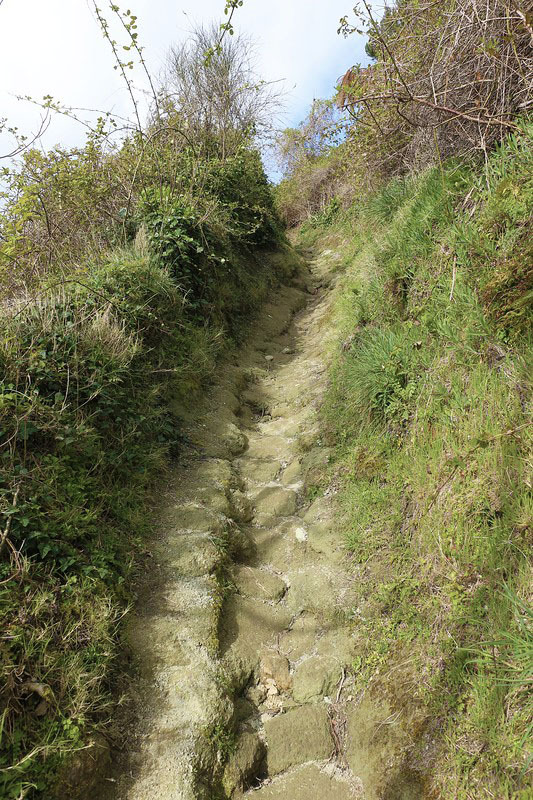 The trail to the peak of Monte Epomeo through the dry gutter in wild forest. In some places the trail turns into a real canyon with almost vertical walls. On the top of the Monte Epomeo (789 m). 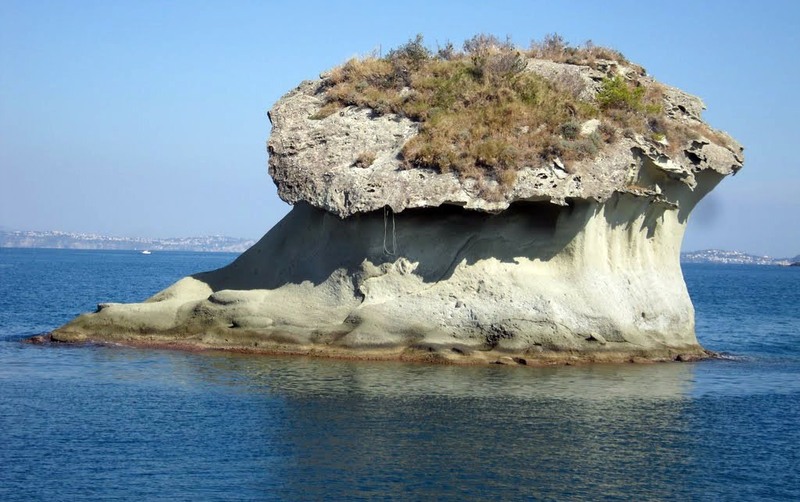 10 meters tall, the tufo rock "Il Fungo" (mushroom) is located in a small town of Ischia – Lacco Ameno. The present shape was created through centuries of sea erosion as the waters lapped against the lower portion of the spire, but never reaching the top. Do you remember the old famous American/Italian comedy film „Avanti!“ from 1972 (in Italy known under the name „Che cosa è successo tra mio padre e tua madre?“) with the popular actors Jack Lemmon and Juliet Mills? If so, then you have seen this small, lovely church in that movie :-). 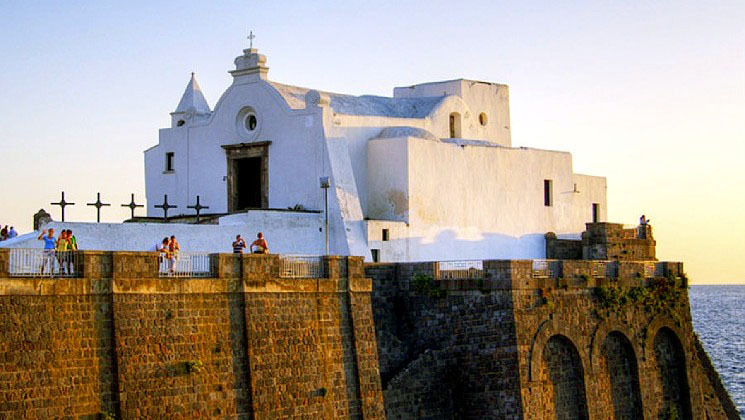 Situated in the town of Forio, in a spectacular position on a promontory overlooking the sea, the Church S. Maria of Soccorso is a unique example of Ischia´s architecture. 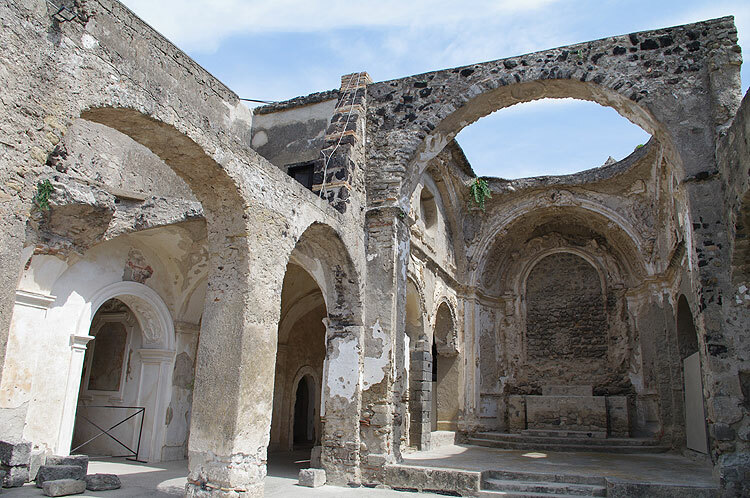 Its history dates back to its foundation in 1350, as an Augustinian Monastery and you can find there many architectural styles. The lovely church S. Maria of Soccorso is located in an impressive position in the town of Forio. Well-known from the comedy "Avanti!" (filmed in 1972). 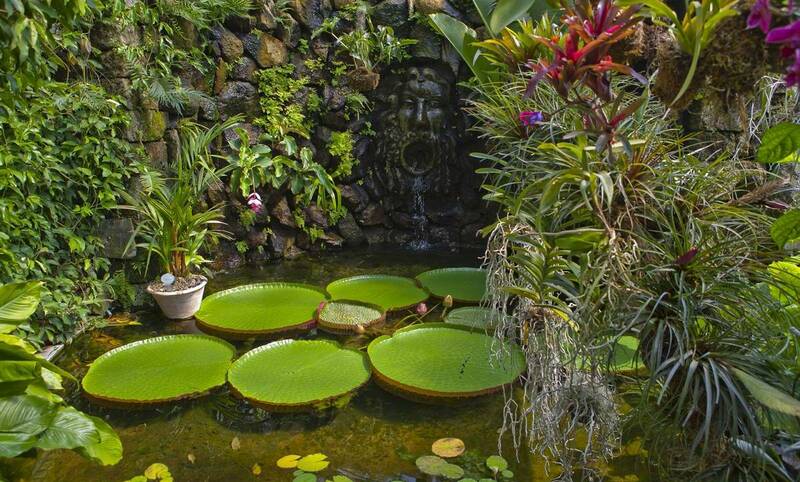 Located in the town of Forio, a private extensive garden with tropical plants was created by Susana Walton in 1950 (a wife of the composer William Walton) but first opened to the public in 1992.